Wireless Access Control: safe access at an affordable price! AxessTMC security and intrusion detection systems, integrating Wireless Lock technology from the Assa Abloy Aperio platform, allows new or existing access control systems to be expanded simply and inexpensively. Aperio® integration available for the Xatlas system can manage both Aperio Online technology and Aperio Offline technology, supporting all the most widespread RFID technologies: MIFARE and 125Khz. Online integration uses the RS485 protocol and Wiegand communication depending on the controllers used: FE DOOR or AX DOOR by AXESS TMC. Acquiring permitted and/or denied access attempts in real time. Enabling and disabling door opening. wide-ranging reach for each door and control of cupboards and racks in the data center. Learning of permitted/denied access attempts, alarms and events. The Online system allows opening or blocking of doors, even remotely. The Offline system records each access attempt on the car and on the cylinder. Wireless safety: simple, safe and easy to install! Makes identification of users homogeneous, using a single card. Simplifies daily management of distribution and pick-up of mechanical keys. If one of them is lost, it will not be necessary to replace all the locks. Increases safety eliminating the danger of typical duplication of mechanical keys. Reduces installation costs thanks to elimination of cabling and i installation time as the system does not require any structural interventions. Allows knowledge of authorized or denied access attempts, alarms and events. Allows management of opening or closing of entrance also remotely. Allows recording on card ad cylinder of all attempts at access. If the card is lost, disablement is simple and rapid. 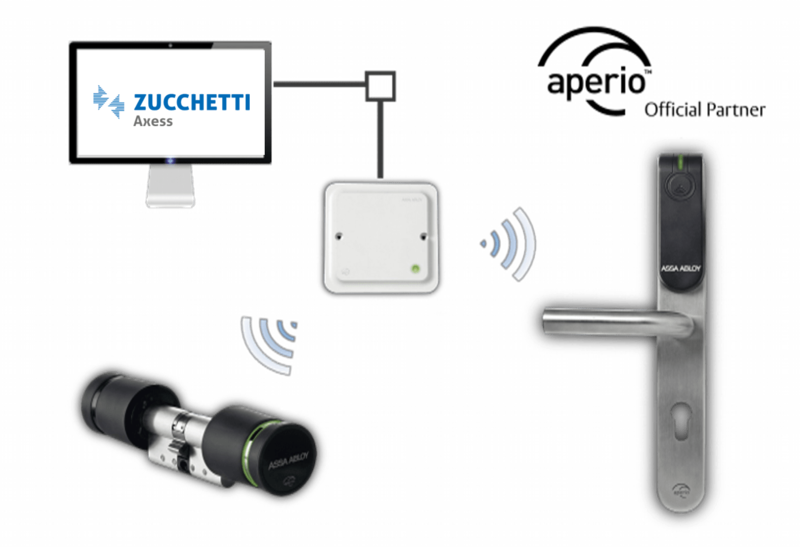 Wireless Access Control: simple and high security!